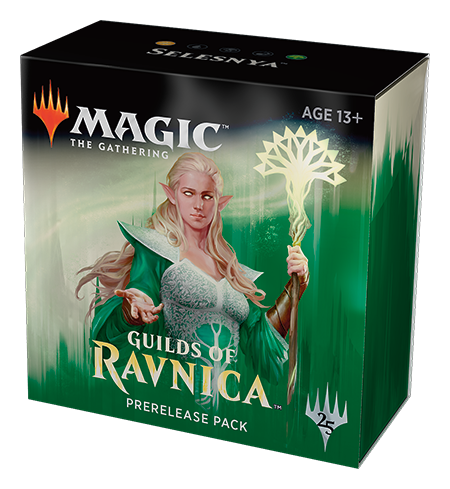 One Golgari pre-release pack from Guilds of Ravnica. Contains 5 standard Guilds of Ravnica boosters and one seeded booster containing cards from your guild. 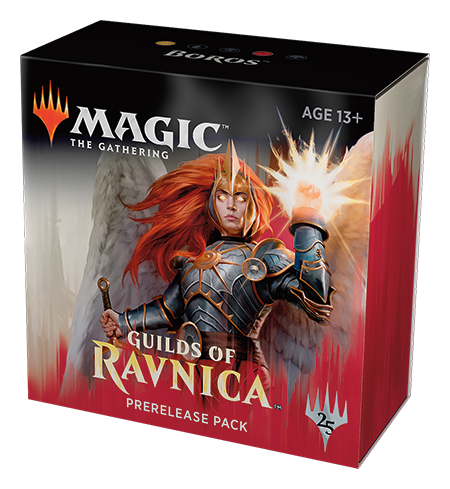 One Boros pre-release pack from Guilds of Ravnica. 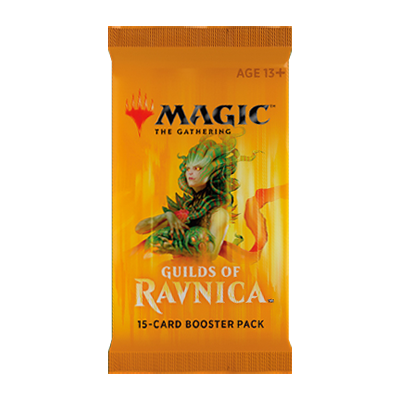 Contains 5 standard Guilds of Ravnica boosters and one seeded booster containing cards from your guild. One Selesnya pre-release pack from Guilds of Ravnica. Contains 5 standard Guilds of Ravnica boosters and one seeded booster containing cards from your guild. 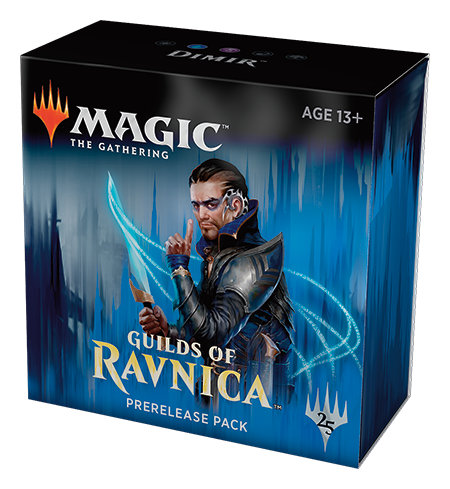 One Dimir pre-release pack from Guilds of Ravnica. Contains 5 standard Guilds of Ravnica boosters and one seeded booster containing cards from your guild. 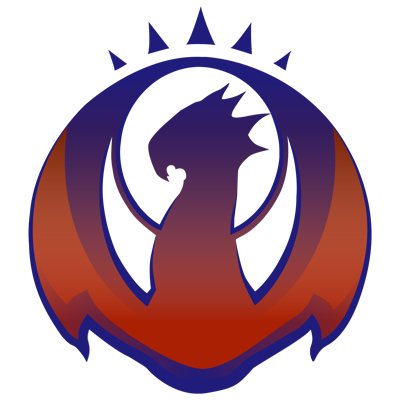 One Izzet pre-release pack from Guilds of Ravnica. 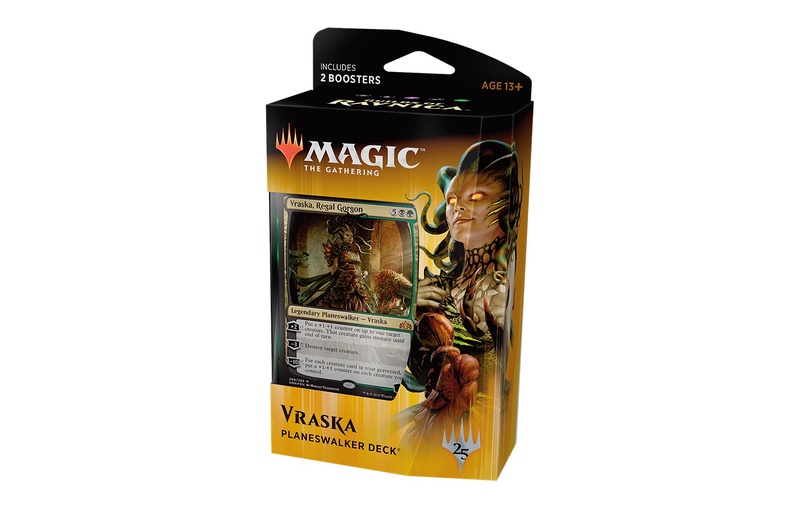 Contains 5 standard Guilds of Ravnica boosters and one seeded booster containing cards from your guild. 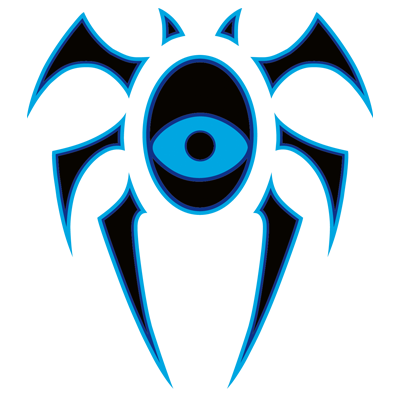 - RUSSIAN LANGUAGE CARDS - On Ravnica, whoever you are - soldier or scientist, merchant or spy - your guild is the core of your identity. It provides structure and greater purpose. Now, the time has come to defend it. 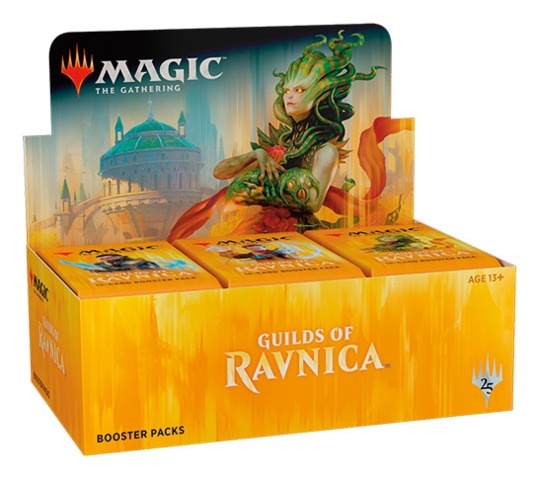 Each booster box contains 36 Guilds of Ravnica booster packs. Each booster pack contains 15 randomly inserted cards. Release Date: 5th October 2018 On Ravnica, whoever you are—soldier or scientist, merchant or spy—your guild is the core of your identity. It provides structure and greater purpose. 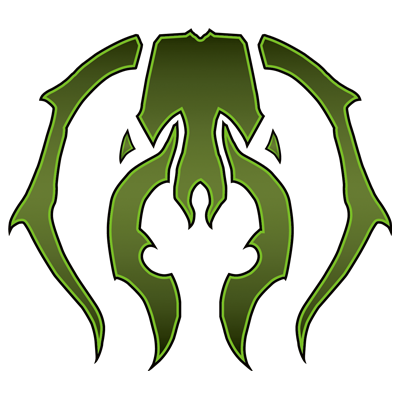 Now, the time has come to defend it. 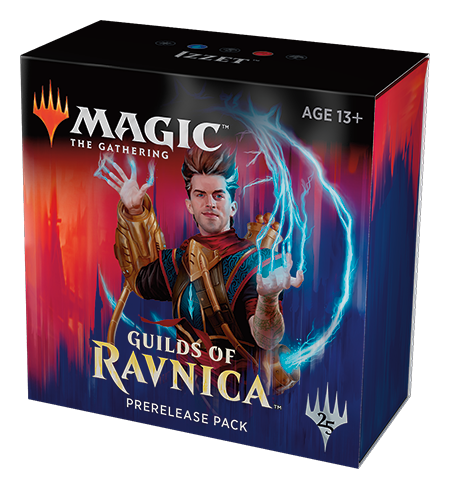 Contains: 10 Guilds of Ravnica booster packs 1 card box 1 player’s guide 1 80-card land pack 1 learn-to-play insert 1 Spindown life counter *Orders will be shipped out on release day. 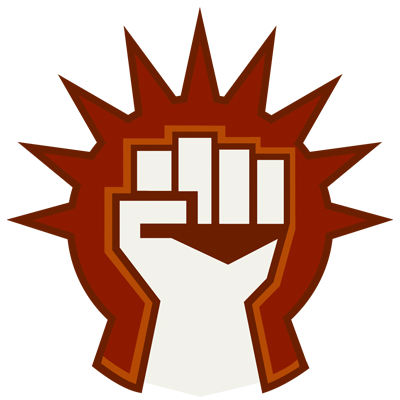 On Ravnica, whoever you are - soldier or scientist, merchant or spy - your guild is the core of your identity. It provides structure and greater purpose. Now, the time has come to defend it. 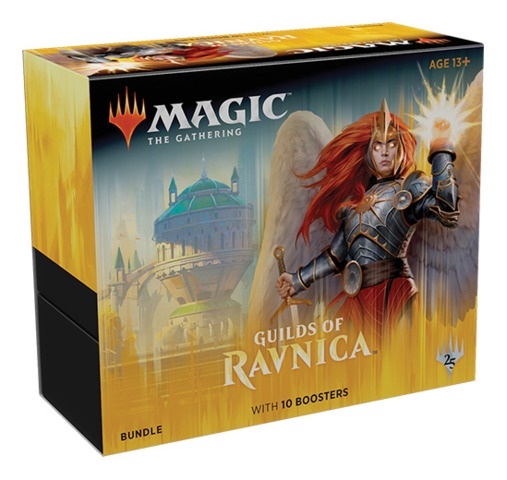 Each booster box contains 36 Guilds of Ravnica booster packs. Each booster pack contains 15 randomly inserted cards. *Orders will be shipped out on release day. **Buy a Box promos are subject to availability and not available in shipped orders. ***Booster Boxes can be picked up one week early during pre-release weekend 29/9~30/9. Release Date: 5th October 2018 On Ravnica, whoever you are - soldier or scientist, merchant or spy - your guild is the core of your identity. It provides structure and greater purpose. Now, the time has come to defend it. 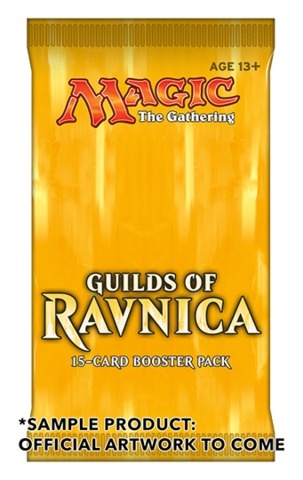 Each booster box contains 36 Guilds of Ravnica booster packs. Each booster pack contains 15 randomly inserted cards. *Orders will be shipped out on release day. **Buy a Box promos are subject to availability and not available in shipped orders. ***Booster Boxes can be picked up one week early during pre-release weekend 29/9~30/9. 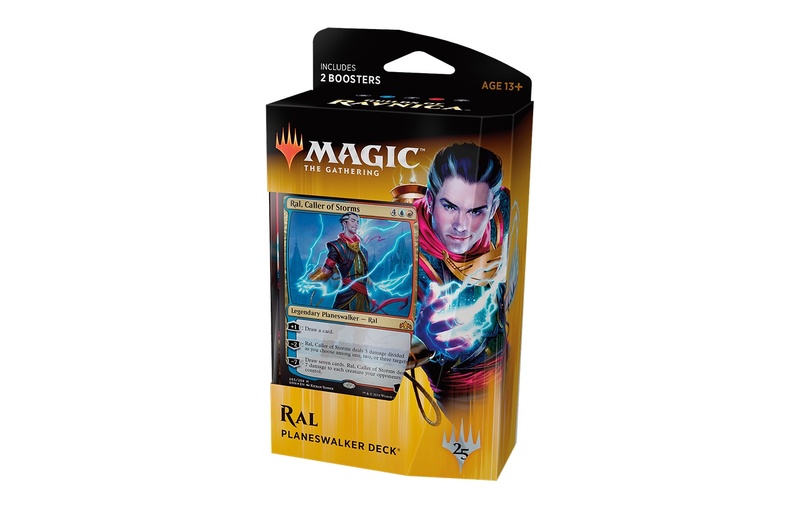 Release Date: 5th October 2018 - PREORDER SPECIAL PRICE: $240- On Ravnica, whoever you are—soldier or scientist, merchant or spy—your guild is the core of your identity. It provides structure and greater purpose. Now, the time has come to defend it. 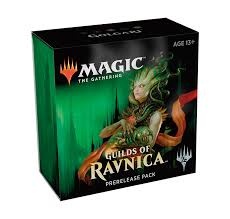 Contains: 1x Guilds of Ravnica Booster Box 1x Guilds of Ravnica Bundle 1x Guilds of Ravnica Planeswalker Deck: Ral, Caller of Storms 1x Guilds of Ravnica Planeswalker Deck: Vraska, Regal Gorgon *Orders will be shipped out on release day. Release Date: 5th October 2018 On Ravnica, whoever you are - soldier or scientist, merchant or spy - your guild is the core of your identity. 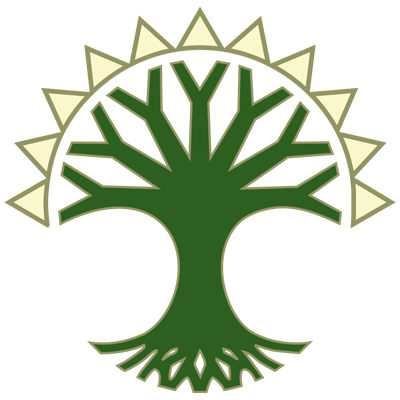 It provides structure and greater purpose. Now, the time has come to defend it. Theme Boosters help new and casual expand their collection with colors that they’re already invested in. 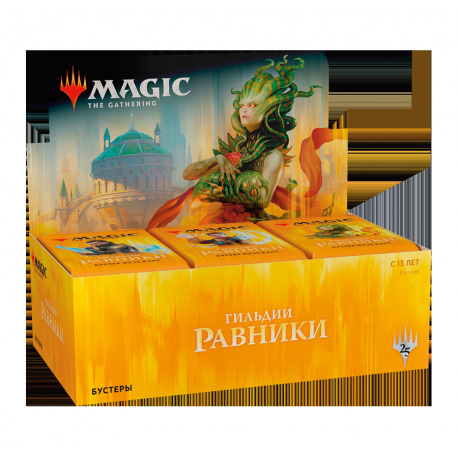 Contents: • Each pack contains 35 randomized cards from Guilds of Ravnica, based on a two-color guild. One card will be rare or mythic. Guilds featured: Boros (white/red); Selesnya (white/green); Izzet (blue/red); Dimir (blue/black); Golgari (black/green). Contents: • 35 Guild focused cards per booster pack *Orders will be shipped out on release day.